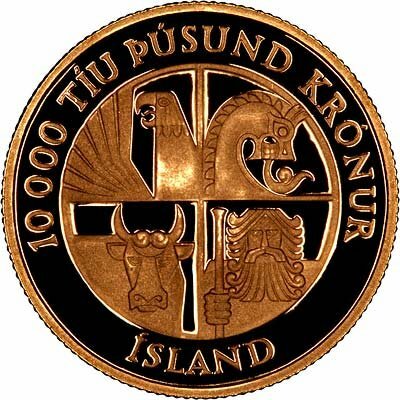 Iceland issued very few gold coins. Indeed it seems to have done so on only three occasions, which range from 1961 to 2000. 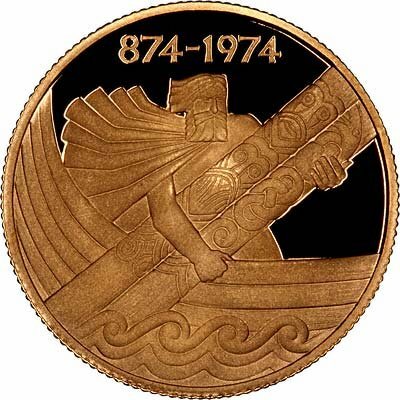 We show a 1974 proof 10,000 kronur, issued to celebrate Iceland's 1,100th anniversary, 874 to 1974.